MSNBC Trolls Trump On "Merry Christmas" [VIDEO] - Joe.My.God. 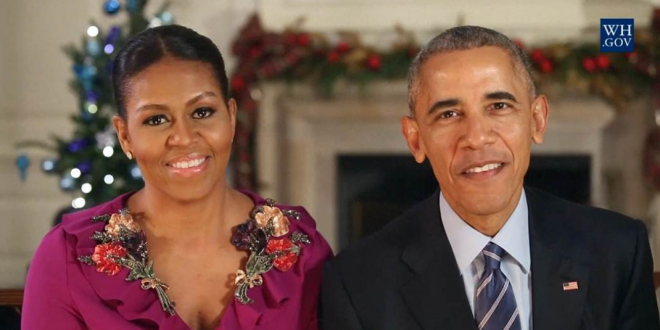 MSNBC trolled President Trump’s claim that he is bringing back the “Merry Christmas” tradition on Wednesday by airing an edited compilation of clips that show former President Barack Obama and his wife Michelle Obama wishing the country “Merry Christmas” while he served in office. “As we approach the end of the year we got to thinking, ‘Did Donald Trump really bring Christmas Back to the White House?’” said host Chris Hayes, on MSNBC’s “All In with Chris Hayes,” before rolling the clip.